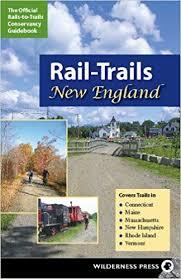 What to expect: The rides go through the scenic farm country of southern New Hampshire. The terrain is rolling hills with old barns, scenic vistas, and lots of quiet roads. 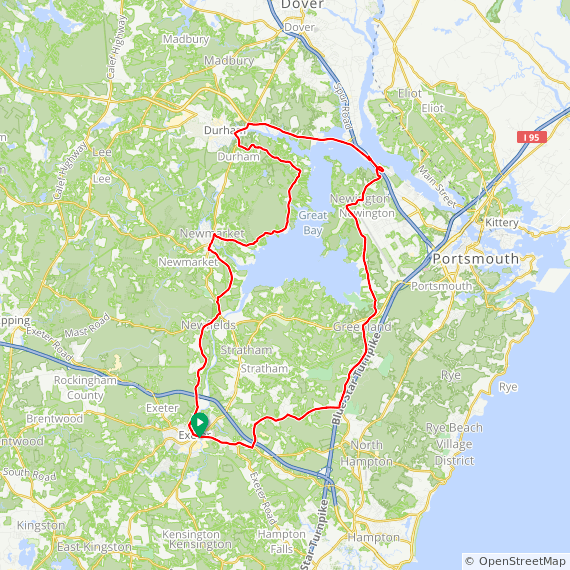 All the loops go by historic Kingston NH common, picturesque Newfields, Great Bay, Newmarket, and the lively college town of Durham. This ride is marked with a yellow arrow with a hook, from the Amesbury start option. Exeter Start: Me & Ollie’s Cafe at the intersection of Routes 108, 111, and 27 (Water Street) in the center of Exeter, NH. Use available street parking and please do not park at the Cafe lot as it is too small and for customers only. Google map to start location ). Created by Jimmy White.